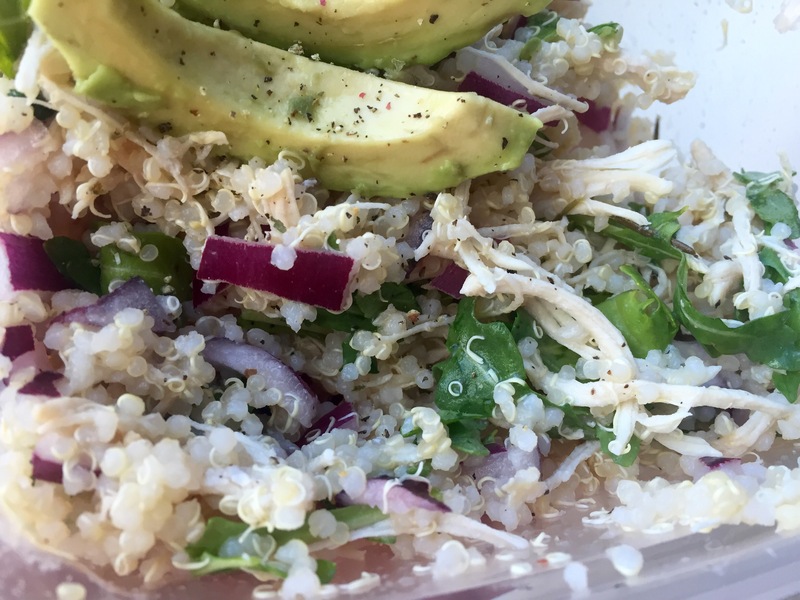 Super simple and delicious! 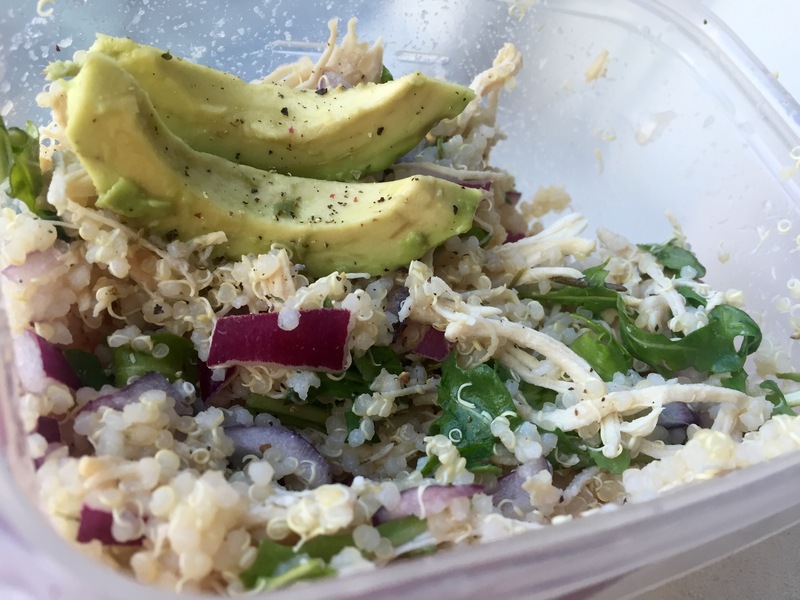 A great way to use up some leftover cooked quinoa and chicken! 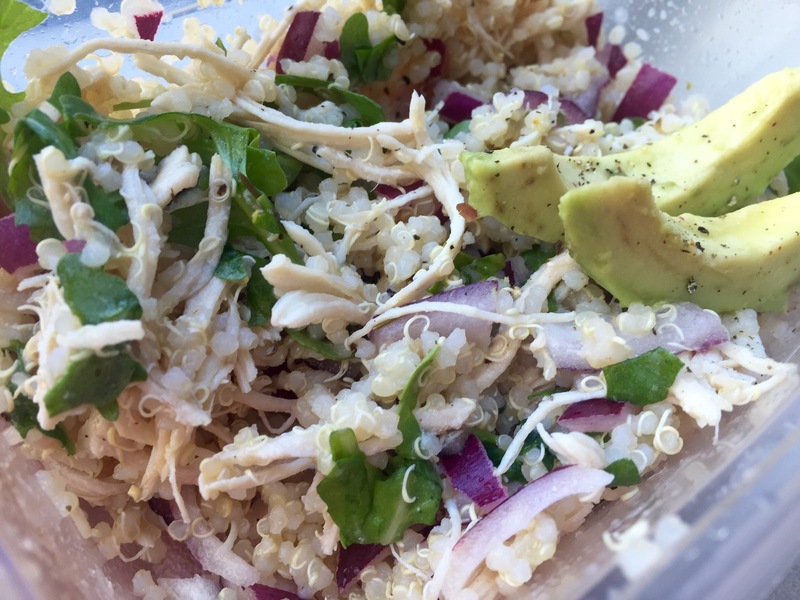 Tastes fresh and light but is packed with protein and keeps you full. 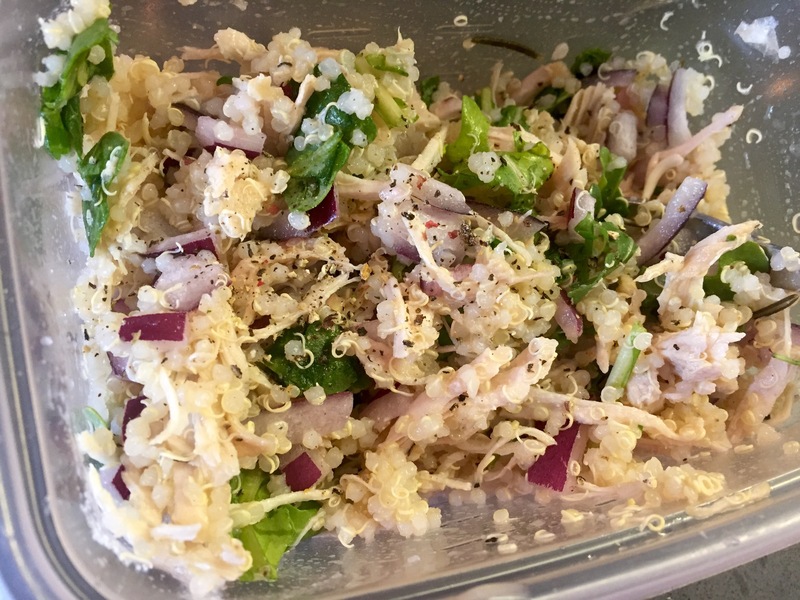 Makes an awesome lunch or light summer dinner! 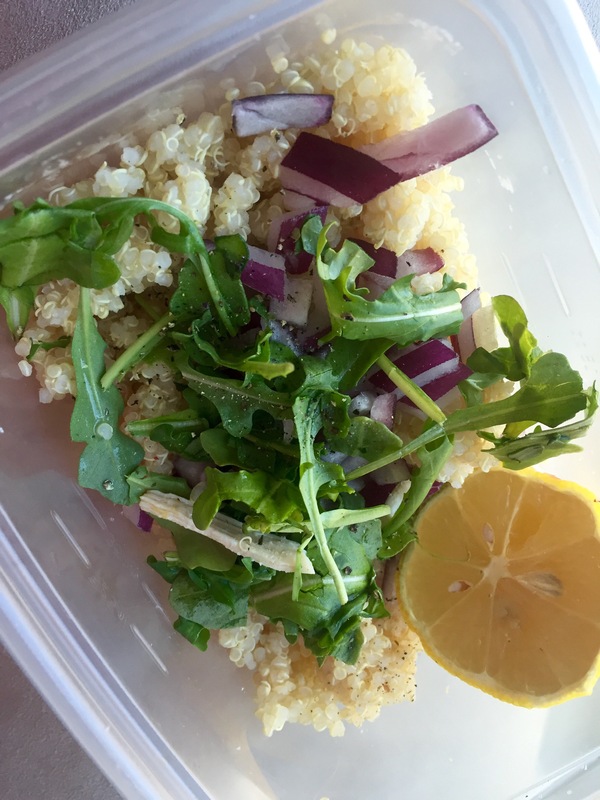 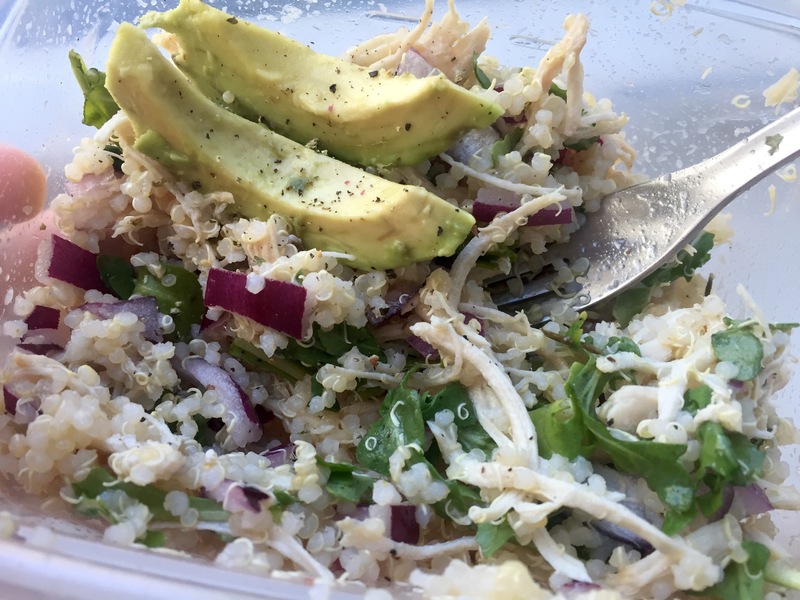 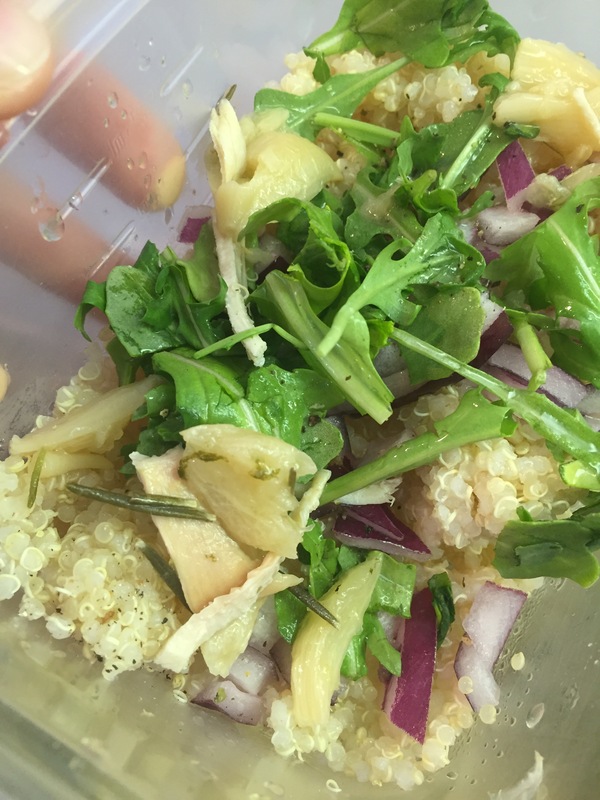 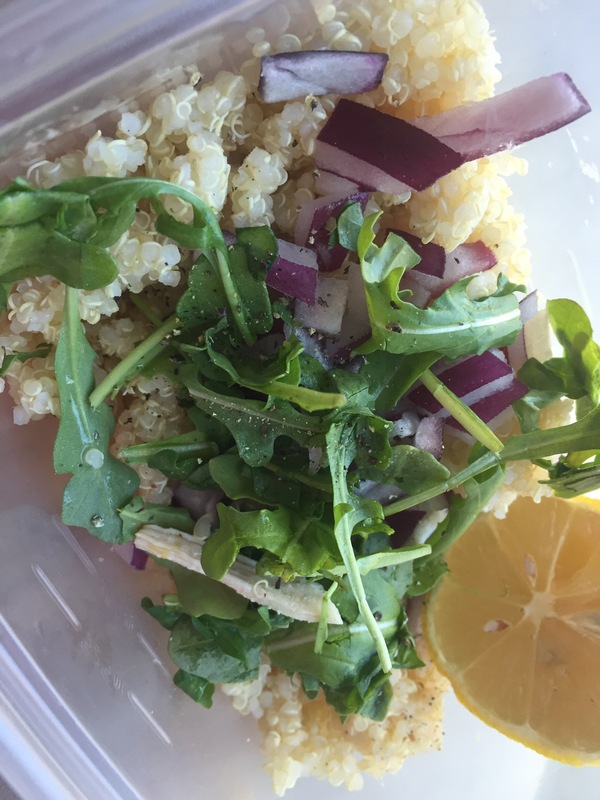 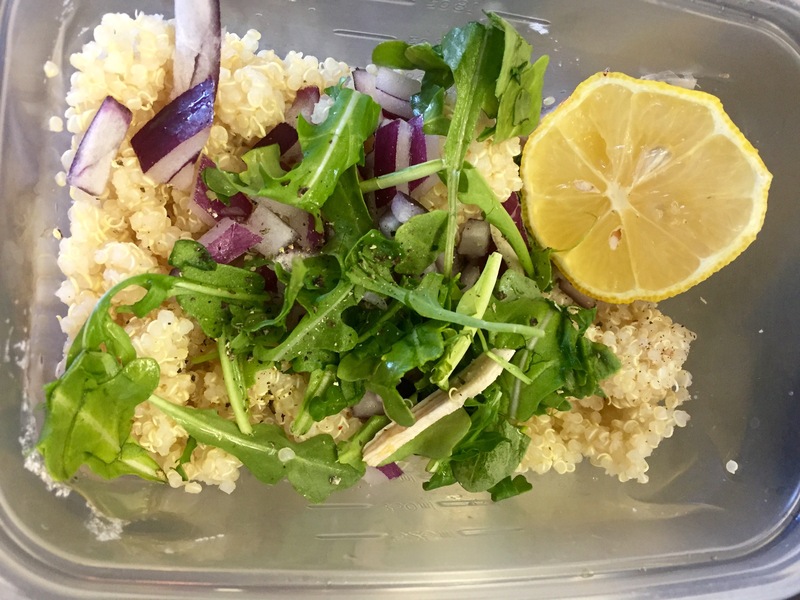 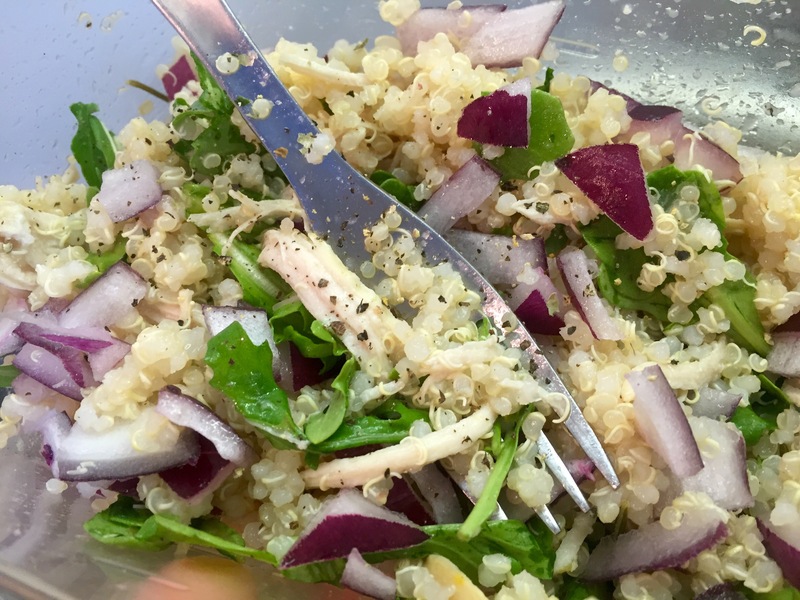 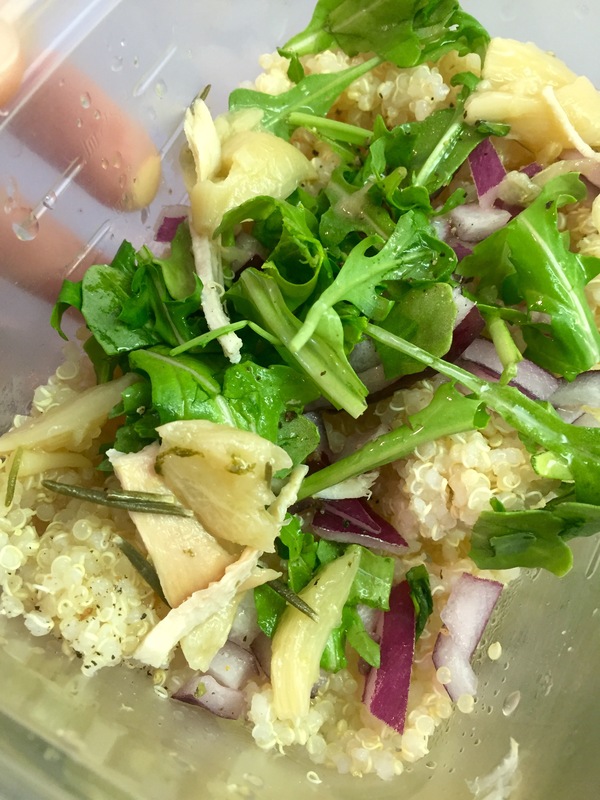 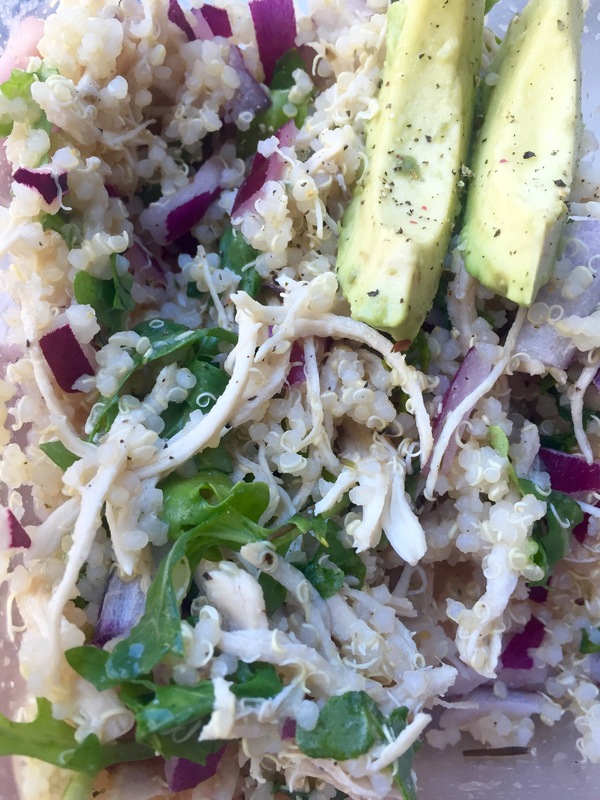 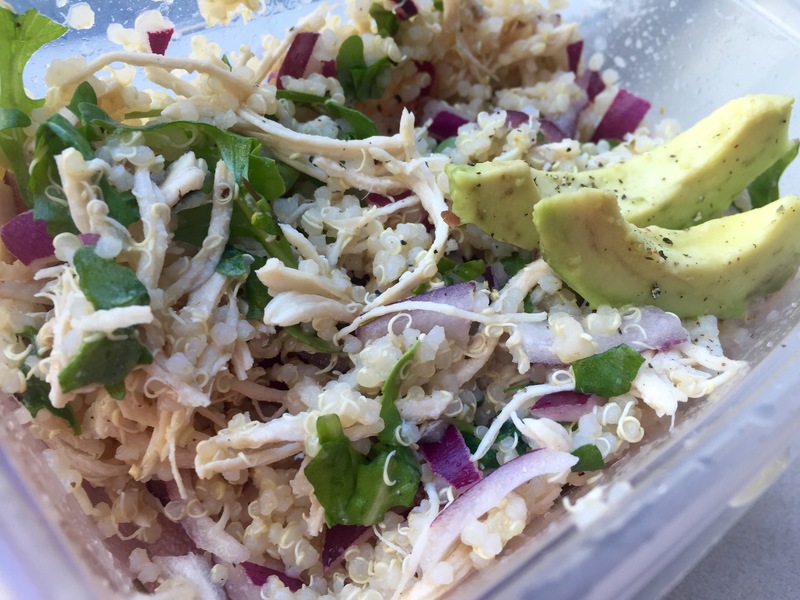 Lemon and pepper and quinoa are just an awesome start, red onion, arugula, and shredded chicken are a great combo. 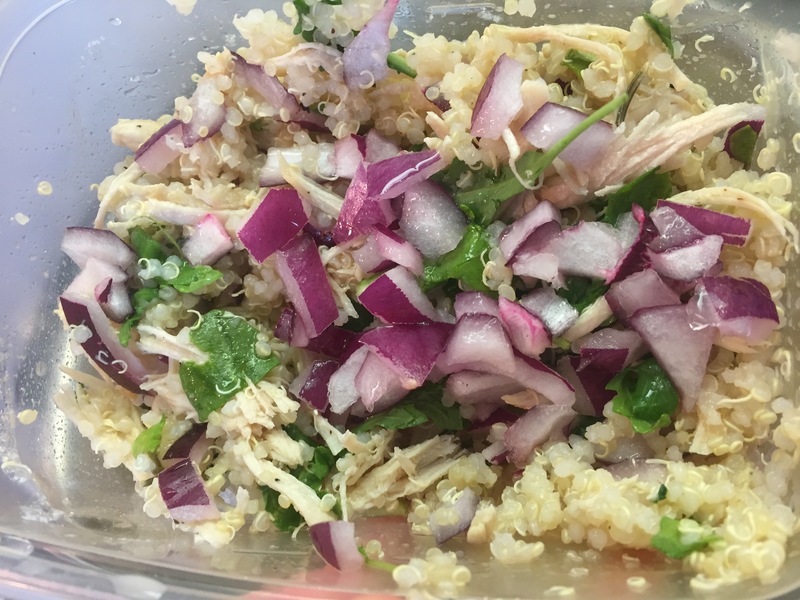 Throw in some feta or cilantro for some added flavor, and any other veggies your heart desires.